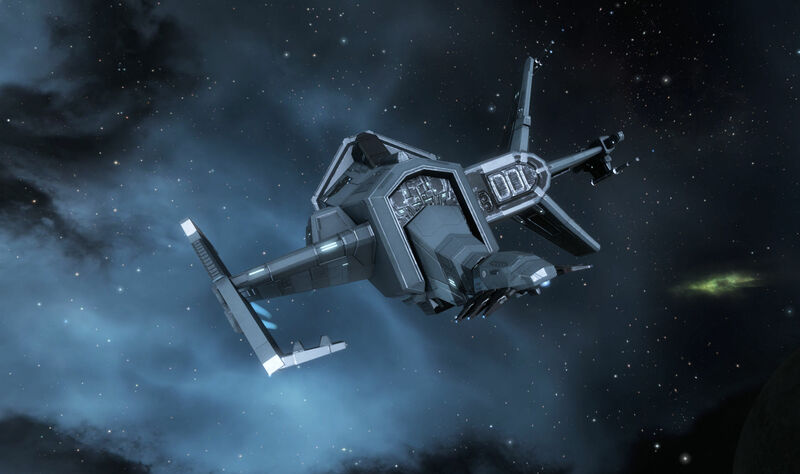 This entry was posted in entertainment, EVE Online, Null Sec and tagged EVE Updates on April 9, 2019 by Wilhelm Arcturus. CCP has released the March update for EVE Online and probably the biggest change in the patch comes at the expense of alpha clones. CCP had previously experimented with expanding the features available to alpha clones, with the Arms Race expansion in December of 2017 opening up new options for them, including battlecruisers and battleships. I am not sure level 5 missions were a thing for botting Alphas, but if you’re going to take away level 4 missions, then level 5 missions have to go too. The March patch also adds the previously discussed feature that allows players to purchase and inject skills directly from the character tab, removing the need to go find a station that sells the skill. 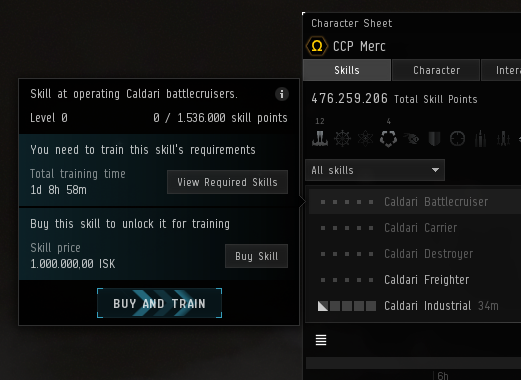 CCP has decided on a straight 30% markup for purchasing skills via this option, leaving some middle ground for those making money hauling books to Jita. Arbitrage remains ever so slightly alive, though there is now both a floor and a ceiling on the skill book prices. There were also some changes to the war declaration system, which remains a work in progress, to close some of the holes that people were using to exploit the system. CCP isn’t always specific about what they have changed and not every change makes the patch notes. But we have seen one like this before, Back in December this very same text was used, and the rumor then was that Havens were being tinkered with to try and trim back super capital and titan ratting. I suspect this may be more of the same. The tooltip of a repairing module in the ship hud will now have a count-down, showing how long until the module is fully repaired. I assume that means when you’re being repaired while tethered, as nanite repair paste already has a progress indicator on the module. Otherwise there are lots little fixes and tweaks and graphical anomalies that have been addressed. Your Lockstep boots will no longer clip through your Commando pants I guess. Anyway, the word is out that the March update has been deployed successfully. You can read about all the details CCP has chosen to share in the Patch Notes and on the Updates page. 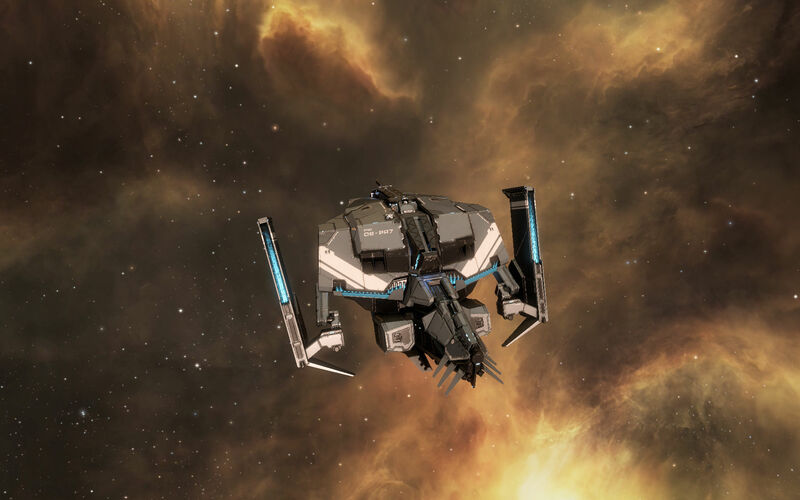 This entry was posted in entertainment, EVE Online, Null Sec and tagged EVE Updates on March 12, 2019 by Wilhelm Arcturus. With the update to the EVE Online launcher already in our hands, the February update for the game doesn’t have much in the way of big features. Instead February brings us something of a little things release. And that is not necessarily a bad thing. In a complex project like EVE Online with many moving parts there are plenty of refinements possible. One of the highlighted changes for the update is a reorganization of the Neocom menu structure, including removal of the “holds and bays,” “ship hangar,” and “item hangar” options, as those all roll up into the unified inventory window already. CCP will also be reducing the number of items that are on the Neocom by default to help with the sensory overload problem that is the game’s UI. Another change being called out affects the overview, where cynosural fields will be moved to their own selection in the configuration, separate from other beacons, allowing capsuleers to filter on just those. A placeholder slot was put in the UI in advance of this, to allow people to update and have their overview ready to go. If you want to see cynos you should probably check and update your settings. And there there is the dev blog post about many of the other little things that are arriving with the update. One silly little item I am looking forward to is a change to how links show up in chat, color coding them so you have a better ideas as to what to expect. There is always somebody out there that forms a link to look like a kill mail, but when you click on it adds you to a specific chat channel. That ruse will at least be a bit more obvious now. The UI will also now prompt you when you attempt to map a key already in use, allowing you to reassign the key right then as opposed to having to hunt down the current key and unmap it manually. Also in the mix are two larger font sizes for contextual menus, no doubt a boon to the aging population of the game. 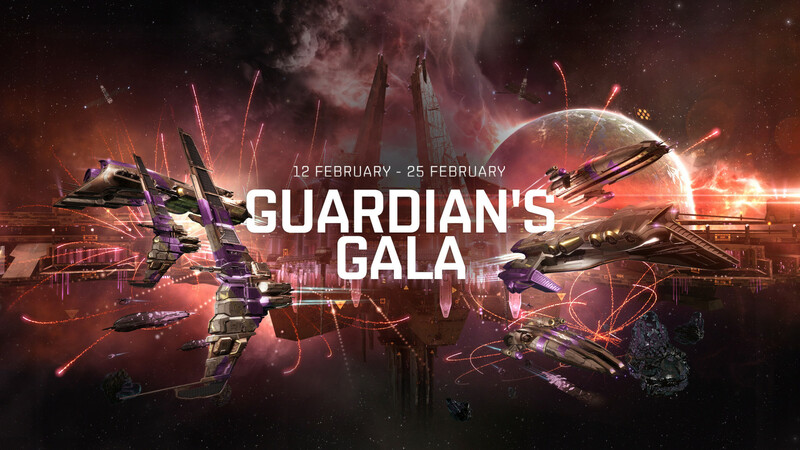 The update also kicks off the now annual Guardian’s Gala event in New Eden. The event will run from today through until February 25th. As usual, it is hooked into The Agency interface in the game and will offer special drops from various activities as well as the usual points system used to accrue towards specific rewards. Expect SKINs, cerebral accelerators, and the like. Also, special pink SKINs are for sale in the New Eden Store. I might need the Eagle and Basilisk SKIN. As usual we’ve gotten word that the update has been deployed successfully. For the details there are the patch notes and the updates page available for your perusal. Also coming soon, CCP think they have nailed down the major problems with the XMPP based chat system they introduced last year. As a reward for our patience, accounts that were Omega status on March 20, 2018 will be getting a 500K skill point reward on the character with the most skill points. It’s like a free skill injector. Details here. And, finally, CCP has announced a new initiative called CCP Please which will act as a tracking methodology for their ongoing work when it comes to quality of life improvements in the game. You can visit the CCP Please site here. Among the first items to be tracked, progress towards a 64-bit client. This entry was posted in entertainment, EVE Online and tagged CCP Please, EVE Updates, Guardians Gala on February 12, 2019 by Wilhelm Arcturus. 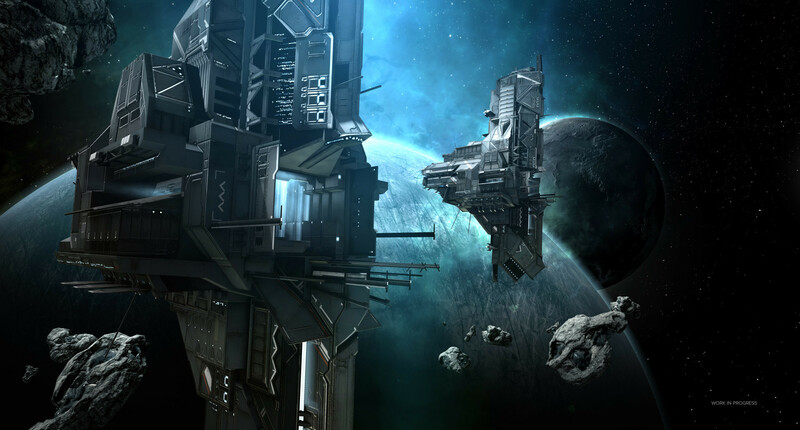 The January update for EVE Online is rather sparse if you’re looking for big ticket items. Granted, the regular monthly updates are just suppose to be regular vehicles to deliver small fixes and features, but we have had a series of them that have had significant items in them over the last year. Still, there is one new feature. 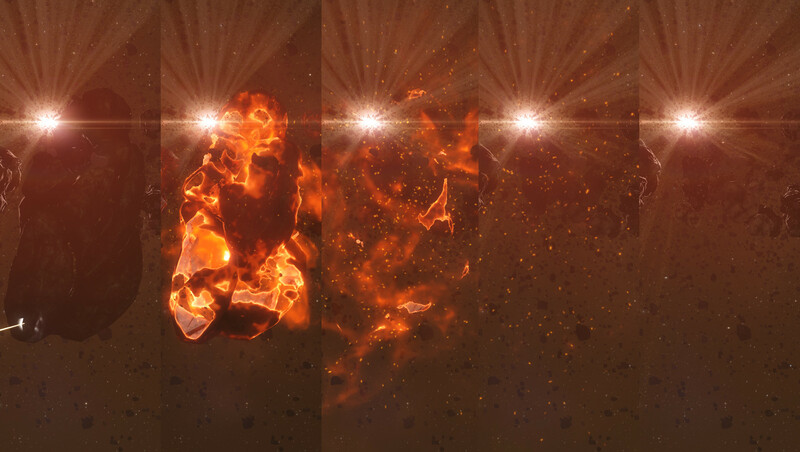 The update includes a graphical change to asteroids, which will now dissolve as they are mined out. So now you will be able to see as an asteroid is progressively used up as you mine it. That almost makes me want to hose the dust off of one of the mining barges I have docked up to see that in action. We’ll see if I get around to it. The New Player Experience got a change to make it easier to understand, though since we’re talking about something in the context of EVE Online, the word “easier” is extremely relative. The Activity Tracker, which came in with the Onslaught expansion back in November, and about which I have moaned already, can now be opened up in a window within the game rather than taking up the entire game window. Now if they would do that with the map window… or better yet, let the map window undock from the game so I can put it on another monitor. There is me, hoping against hope, that CCP will make the in-game map both useful and usable again. 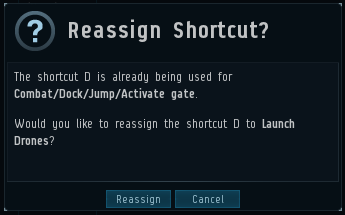 CCP has also made a change that prevents skill extractors being used on characters for a set (but undisclosed) time period after a password reset in order to help keep hacked accounts from having their characters drained dry. Also if you use a ship scanner on a strategic cruiser you will now get the subsystem information back as well as the modules. Previously you could guess pretty accurately at the subsystems based on the modules and slot layout if you had memorized all of the options, but now mere mortals will be able to see what is there. And, finally, as a last minute addition, there was a fix put in to fix a visual desync problem experienced when exiting warp. After that though the patch notes are pretty much a laundry list of small fixes, covering everything from the appearance of the corpse hold capacity for the Blood Raider capital ships in the info window to the correct spelling of the word ambience. I was also expecting to see something about the chat system, though updates for that might just be going on behind the scenes. Still, the chat windows have been borked on a fairly regular basis of late. Then I was hoping to see something about a recurring issue I have been seeing where, after going through a gate, my overview fails to load. I would estimate that this happens to me somewhere between 1 in 30 and 1 in 50 jumps . It hasn’t been fatal. Often it happens in during a fleet op and the FC is going to warp us to the next gate anyway, so I can just click on that for the next jump. And even solo there are a number of work-arounds. But it is annoying, especially when flying through hostile space. There used to be a similar issue of the overview failing to load if you undocked with a fleet which I haven’t seen for a while now. Maybe this is it manifesting itself elsewhere. Over at The Nosy Gamer there is a further look at some of the items buried in the patch notes. This entry was posted in entertainment, EVE Online and tagged CCP, EVE Updates on January 15, 2019 by Wilhelm Arcturus. If your corp does not own one of those structures then you should be immune to war declarations. And, to close a glaring loophole, the second change is to add a setting to disallow structure transfers. At least CCP could foresee that war dec corps would seek to bypass the structure rule by simply transferring a structure to their prospective victim and then declare war. There is now a setting in the corporation details tab that allows automatic rejection of structure transfers, and the default setting for that will be true. That is expected to be the first round of changed for war decs as CCP tries to figure out how to deal with this issue. 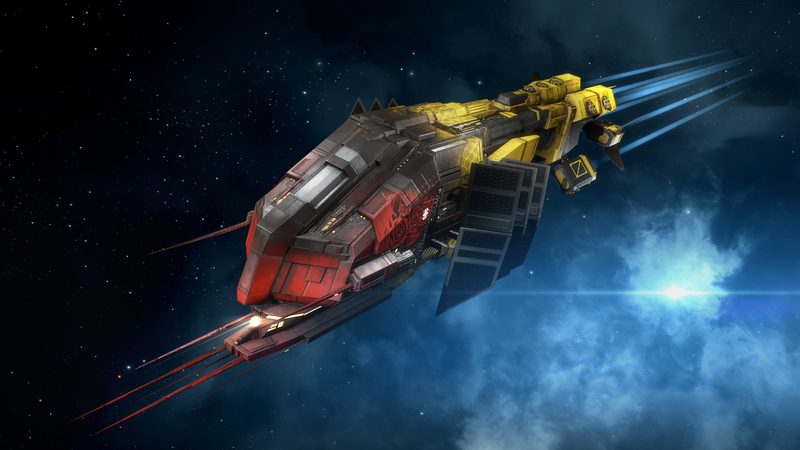 Also coming with the December update are two new Triglavian ships, the Rodiva and the Zarmazd. These are the previously mentioned Triglavian logi cruisers. Unlike other Triglavian ships, this one comes as both tech I and tech II, aligning to the logi cruisers from the empires. Only the blueprint for the Rodiva will drop and you must go through and do invention on the copy to get a Zarmazd blueprint. There are also armor rep blueprints going in to match the two new ships, available as Abyssal drops. The niche for these new logi ships is that their reps get stronger the longer they stay on their target. Also coming to Abyssal space is a set period of invulnerability when transitioning through Abyssal gates. 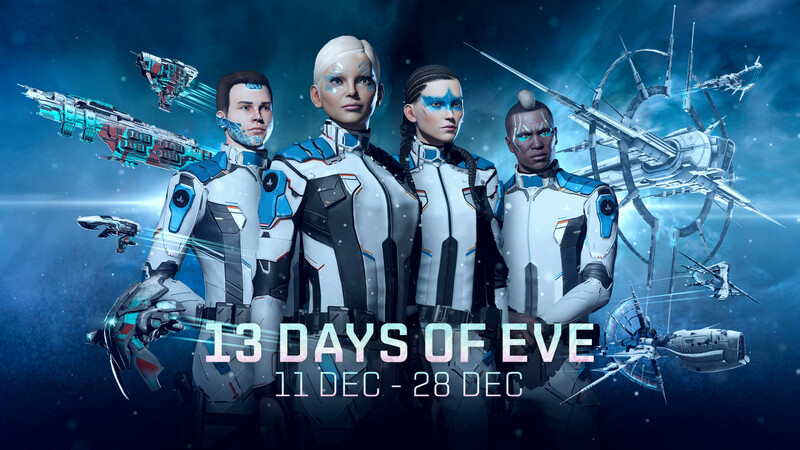 The update also introduces the 2018 holiday even for EVE Online. 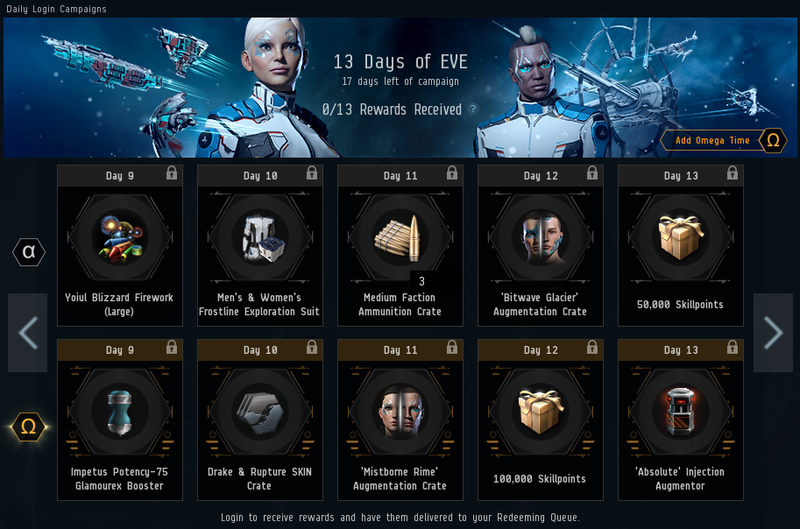 Called the Thirteen Days of EVE, you need to log your account in daily to claim prizes… like an advent calendar… but you have 17 days, so you could miss a couple days and still get all the presents. The prizes include some new things EVE, including a standings booster, new Candy Chromatic SKINs, straight up skill points, and, for Omegas only, a booster with three uses that will allow the pilot to use skill injectors without the diminishing returns penalty. That means people like me, with over 80 million SP on a character, could get the full 500K of skill points from an injector rather than the 150K one gets normally in that situation. That last item requires you to log in for the full thirteen days. But that is easy enough and there is no reason not too. Details are available at the event site. 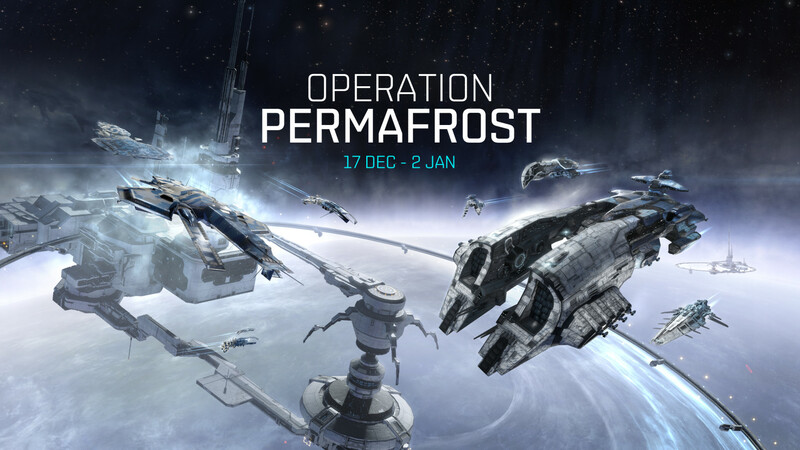 The update also lays down the groundwork for the next in-game event, Operation Permafrost. As usual, the event will come to you via The Agency and will require you to accumulate points for rewards. At EVE Vegas is was mentioned that this event will bring your ship down into the atmosphere of a planet, giving the art team at CCP a chance to show off some more fancy new environments. Details are currently up on the live event page. Also on the graphics front, CCP has added atmospheric auroras to planets. They only show up at random times though, so you have to be there at the right moment to catch them. Another possible background for screen shots. As rumors have it, the “certain nullsec anomalies” are havens and that this is a direct poke at titan ratting. Yes, titan ratting is a thing. The alleged reason is that at the current respawn rate a titan can can use its boson doomsday, clear a haven, and another one will have spawned by the time the titan has recovered and is ready to keep rolling. We will see if there is a corresponding dip in the NPC bounties with the coming of the December MER. So that is it. CCP has already announced that the update has been deployed successfully. Information about it is available via the patch notes and the updates page. 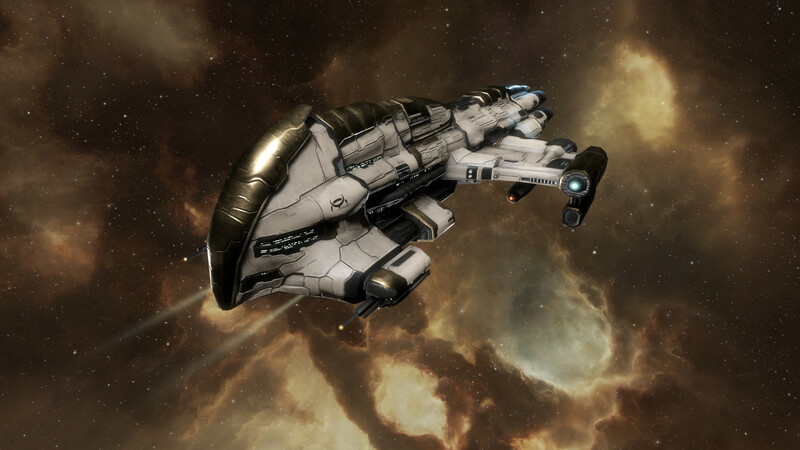 This entry was posted in entertainment, EVE Online, Null Sec and tagged CCP, EVE Updates, Operation Permafrost, Thirteen Days of EVE on December 11, 2018 by Wilhelm Arcturus. But as we know, one person’s balance is another person’s horrific nerf. Probably the biggest change coming with the October release is an update to electronic counter measures, of ECM. ECM effects, target jamming and other debuffs, are frustrating when you’re the target. You just sit there watching the indicator cycle down, unable to do anything about it, hoping that the RNG goes in your favor for the next cycle. In an effort to alleviate this, CCP has made a change so that the ship being jammed can always target the ship jamming it. I guess if you are in a fleet fight this might give you something to do. 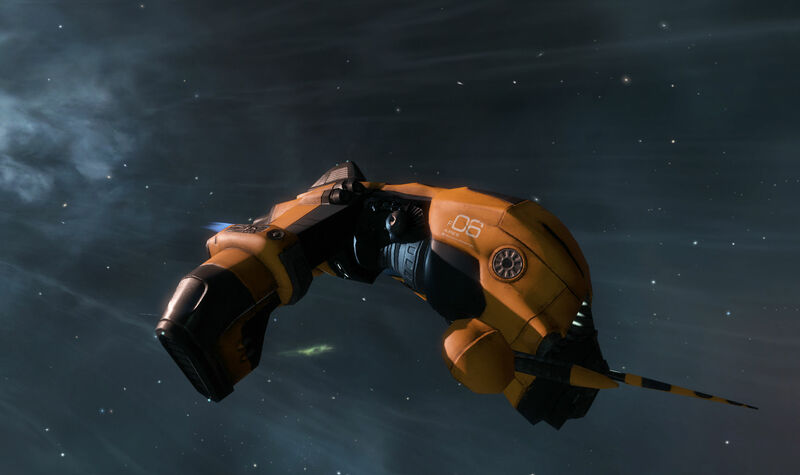 As a logi pilot the jamming ships are often outside of my drone range, so about the best I can do is yellow box the jammer and hope they get nervous. But if you’re in a small gang this simply makes ECM ships more vulnerable, and if you were using ECM to escape one on one encounters previously, that plan is now pretty much a bust. There is talk of CCP boosting the survivability of ECM ships in the future, but for now they are more vulnerable. The next item up is interdiction nullification. This is a null sec thing. 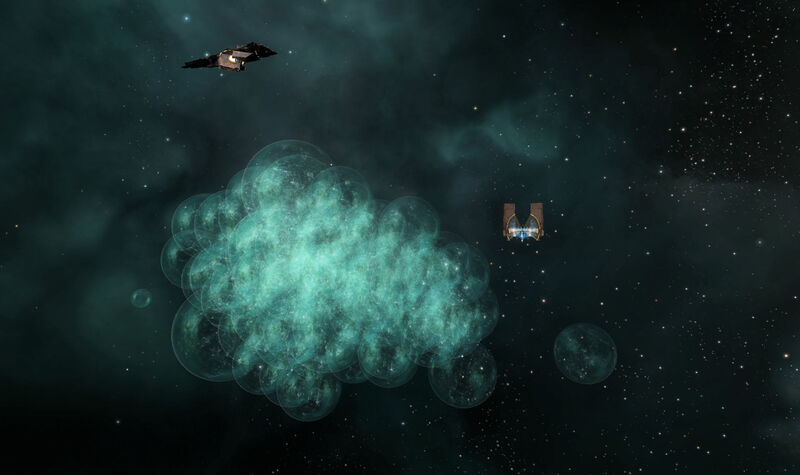 About five years ago CCP made a change to interceptors that basically allows them to ignore warp disruption bubbles. The problem is that it also makes interceptor-only fleets pretty much impossible to pin down. It is one thing to have some strategic cruisers with the interdiction nullification subsystem, like the Slippery Pete Tengus of past glory, zipping about playing hit and run. They at least have to sacrifice some capability to get that and they cost a lot of ISK. But when you have a fleet of arty fit Claw interceptors zipping in and out, quick to align, quick to shoot, and quick to warp off, blapping ships in your fleet one by one without much skin in the game, that gets on your nerves. So, in the grand CCP tradition of half measures and compromises that make nobody happy, CCP removed interdiction nullification from some interceptors. 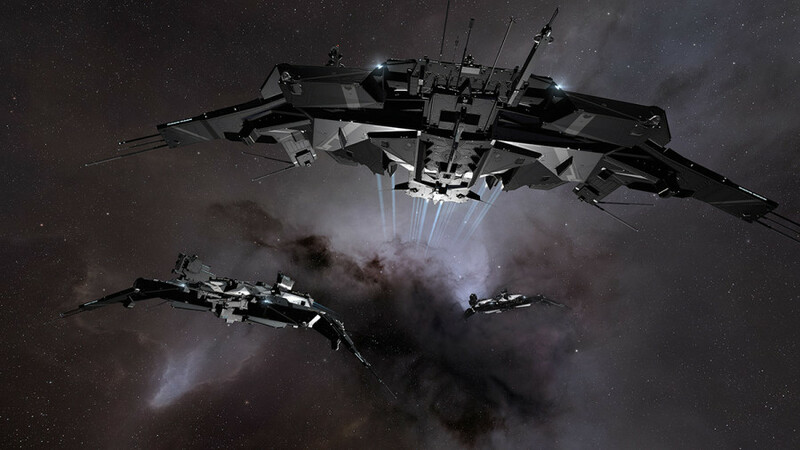 The combat interceptors (Claw, Crusader, Raptor, Taranis) will no longer have that null sec super power. The reign of the Fozzie Claw may be coming to an end. However, the fleet interceptors (Stiletto, Malediction, Crow, Ares) will keep interdiction nullification. We shall see if this changes anything or if there will just be a new interceptor doctrine based on one of these hulls. The Crow also had its agility number dropped as part of this. Is a 2 second aligning Crow even possible? The best part of this however will be the people who don’t read the patch notes and who end up getting stuck in a bubble and blown up wondering what just happened. It is a good thing that I opted for the Ares as my default travel ‘ceptor I guess. Next up was a change meant to fix a mechanics exploit with heavy interdictors that looked to screw over wormhole space. 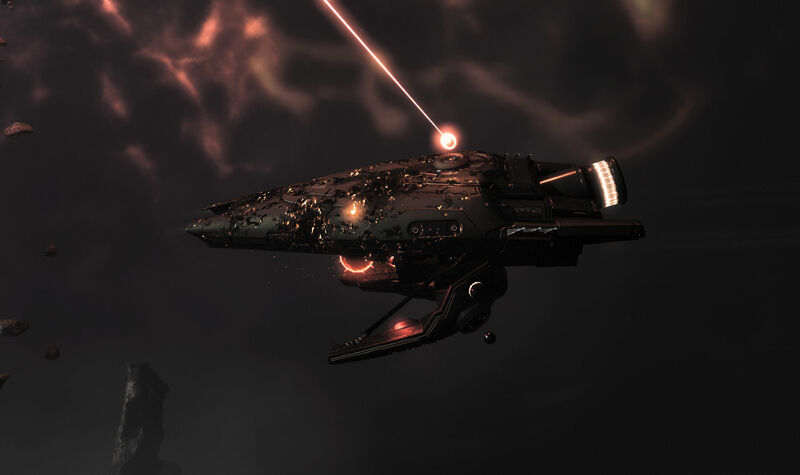 CCP used the phrase “unwilling collateral damage” right up front. Not being a hictor pilot nor a wormholer, I didn’t quite get what was going on with this, just that wormholers were getting the short end of the stick. 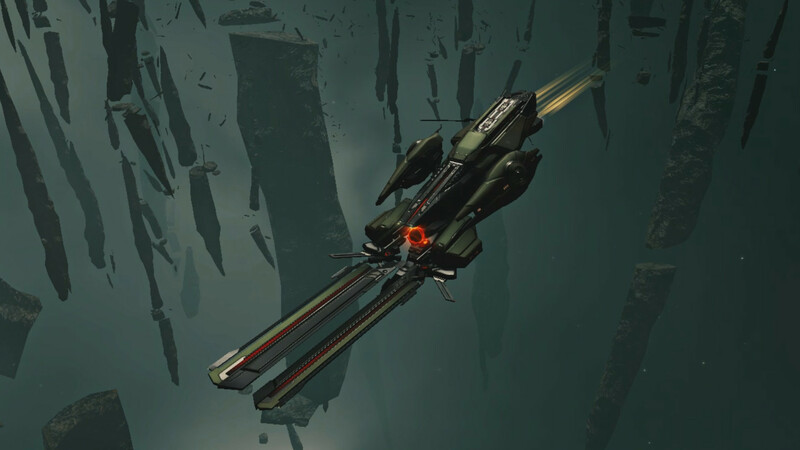 In the end, however, CCP created a new module… the zero point mass entangler… to address this and the wormholer’s ability to roll holes in high mass hictors will go unchanged. I think. There is a forum thread about it. Also on the “fixes for null sec” list were two changes to titans. The first was discovered in the recent war. It turned out that if a group of titans used their doomsday weapon on a capital and killed it in a single volley, those titans could then re-tether on a citadel in a minute rather than facing the five minute post-doomsday restrictions in place for other actions such as jumping or cloaking. That has now been changed and a titan that fires its doomsday will now be unable to tether up again until the five minute timer has passed. In addition, the minor splash damage effect that exploding titans had was removed. CCP had said in the past that they didn’t think that this was causing any performance problems in large null sec fleet battles, but everybody involved has been harping on this for so long that I get the feeling CCP just said, “Sure, fine, whatever, we’ll take it out. Are you happy now?” so they could get on to other performance related issues without having to hear about exploding titan splash damage over and over. Sometimes you just have to do this sort of thing. More generally there was also a change to the slot layout of the Triglavian Damavik frigate. It loses a low slot but gains a mid, giving the hull three of each. People said a frigate with only two mid slots wouldn’t be viable, and they were right. Additional dungeon assets have been upgraded to the latest shaders. It isn’t that I don’t want various mission assets upgraded to the latest shaders, it is that I hate when CCP refers to mission spaces as “dungeons.” This is a long standing gripe and no I won’t ever get over it. This isn’t Space WoW. So that is it for October. The update is already live. (That page has the links to the feedback and known issues threads.) You can find the original ideas for the October balance pass in this dev blog. They didn’t get to the Force Auxiliaries this time. To see what did get changed there are the patch notes and the updates page to guide you. Between now and November we have EVE Vegas. That falls on October 19-21 and I expect it will be there that we’ll hear about the “next big thing” for EVE Online. There is generally a big, named expansion at this end of the year. Optimists hope for the next great feature that will revive the game while pessimists expect a Pearl Abyss enforced cash shop nightmare. Reality will probably be somewhere in between. 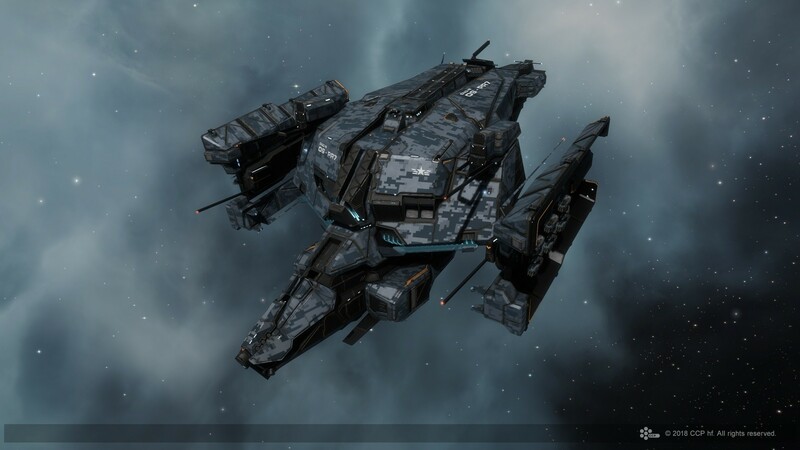 This entry was posted in entertainment, EVE Online, Null Sec and tagged EVE Updates on October 9, 2018 by Wilhelm Arcturus. 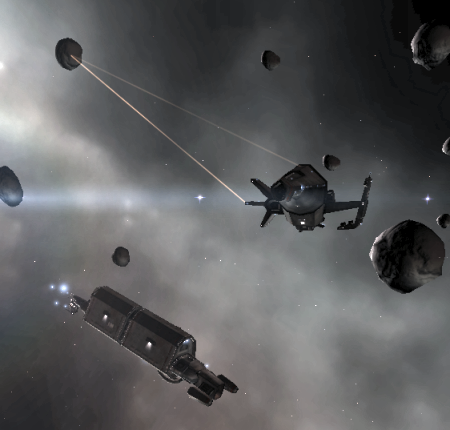 The September update for EVE Online doesn’t have much in the way of cornerstone features. The changes were largely drawn from the “little things” thread, which are small improvements to our daily life in New Eden. It is no longer possible to add items to a mobile depot, while it is reinforced. It is still possible to remove items from a reinforced mobile depot or scoop the mobile depot itself. This will likely lead to more dead excavator drones as it is the general practice of Rorqual pilots, when caught by attackers, to drop a mobile depot and dump their expensive excavator drones in it. That saves them for another day as killing a mobile depot requires you to reinforce it, then come back later to kill it. Now however the Rorqual pilot needs to be quick as the attackers will likely reinforce any depot they drop right away. Upwell Cargo Deposit is now available at all Upwell Structures. This feature allows players flying outside an Upwell Structure to place items from their ship cargo directly into their personal hangar in the structure. This should close off the courier scam where pilots get sent to a citadel only to find that they have no access. They can’t deliver so lose the usually inflated collateral. There was a thread about this change in the forums. And there were also a series of changes to how ship fittings are managed. One big item is that you can save cargo items as part of the fit. 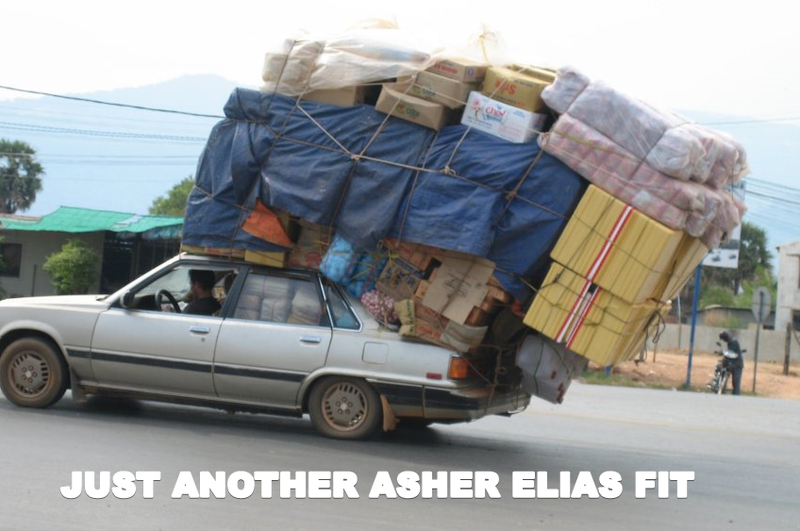 This will be a boon for Reavers, as Asher does like us to haul around a pile of refits. There is a long list of minor updates, enough that there is likely something there to make you happy. 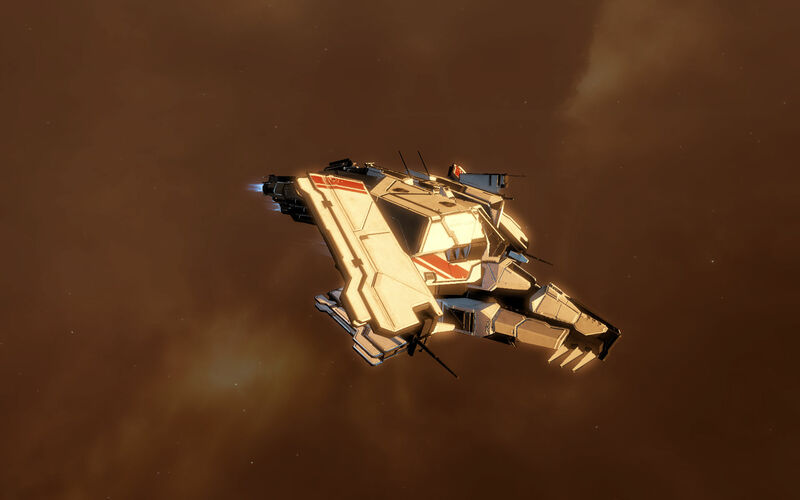 But the big change in the September releases is the graphical update to the line of ships based on the Caldari Osprey. It was one of the few remaining asymmetrical designs. 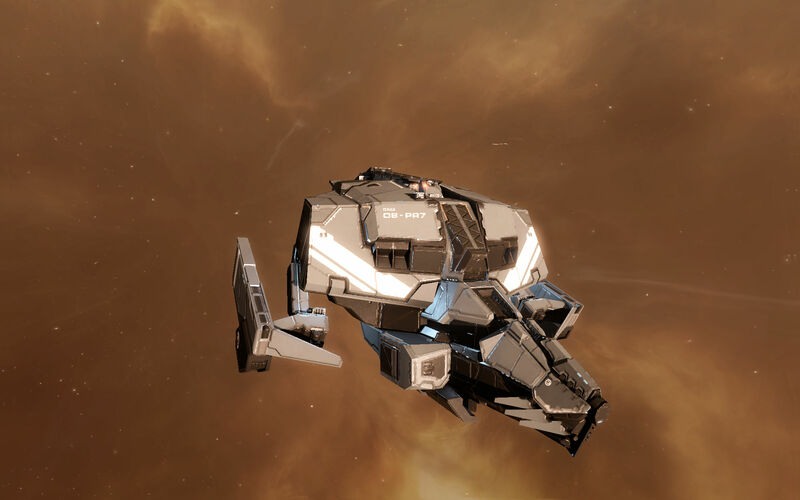 Once the Caldari cruiser with mining bonuses, it eventually got fully focused on the logistics (space healer) role once CCP was done revamping the mining ship lineup. There was a joke about Caldari ships back when I started playing EVE Online. It was said that when it came to Caldari ship design, there was a designer for the left half of ships and a designer for the right half of ships, and that these two people had never met. Over the years since CCP has been regularly changing the sometimes wildly asymmetrical designs with ships that have bilateral symmetry. Some of these have been good. I think the Scorpion and Moa ship lines look better for the change. Others I have been less enthusiastic about. The Cormorant got an odd treatment, while the Griffin went from a sleek lined frigate to a space pig. All a matter of opinion I suppose. This time the came from the Osprey, which now has matching appendages on either side. These side bits also now fold back while the ship is in warp. The central body remains similar to the old model, with a frilled snout and the long, tapering engine housing in the back. The Osprey Navy Issue got its own new set of wings with the change. And the tech II variation, the Basilisk, got wings that are somewhat reminiscent of Dumbo. Flying with both doors open? Those doors fold down a bit when the Basi is in warp. I am not particularly enamored with the change. As with the Oneiros, I think they managed to remove all the grace from the design with this change. But I have been told that symmetry makes SKIN development easier, and SKINs sell. Anyway, that is what we are getting for September. The patch notes are available to read through, if you want to see all the little changes, while the updates page only mentions the Osprey changes. The update has been declared live, so everything mentioned is now a thing. 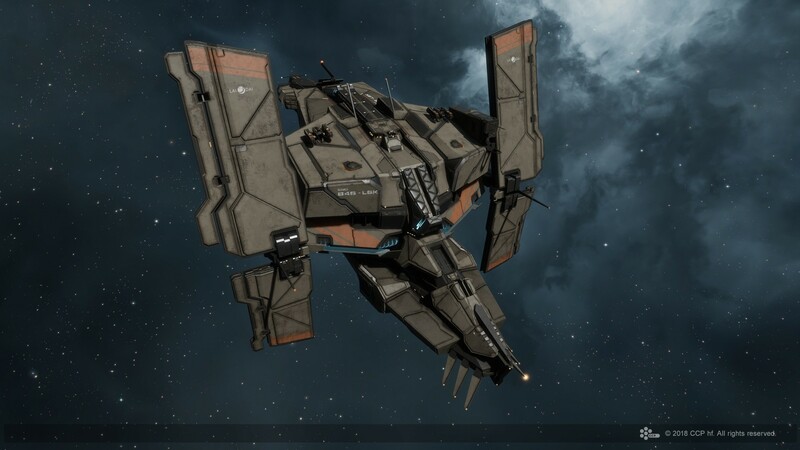 Coincident with this update CCP also announced a special SKIN release as a fundraising effort for the family of a member of the team, CCP Mankiller, who passed away in July at the age of 44. These SKINs, called Cordite Blossom, will be available from the New Eden store for a limited time and, once removed, will be retired and never sold again. Proceeds from the sales will go to help the family of the late CCP Mankiller. Buy a SKIN or two if you can. Addendum: The fundraising goal was reached and the Cordite Blossom SKINs are now off the market. 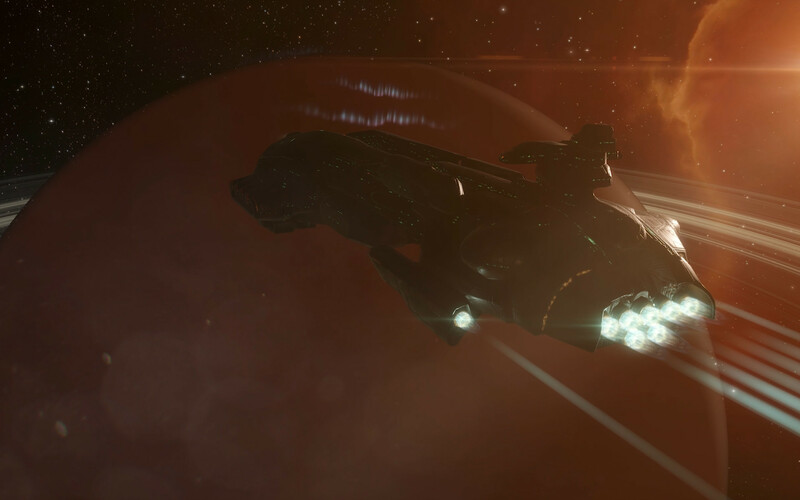 This entry was posted in entertainment, EVE Online and tagged Basilisk, CCP Mankiller, Cordite Blossom, EVE Updates, Osprey on September 11, 2018 by Wilhelm Arcturus.